We have seen Liverpool champion some impressive regeneration projects in recent times, including Liverpool ONE, the Albert Dock, the Echo Arena, the Baltic Triangle and Ropewalks, to name a few. These aspiring plans and actions helped to name Liverpool the 2008 Capital of Culture, a huge and proud achievement for a city that’s bursting with an eclectic cultural scene, both past and present. It seems, however, that the city’s leaders are showing no signs of stopping when it comes to further improving the economy, with current and future plans to regenerate Liverpool even further. With past regeneration schemes proving to be a worthwhile success, many others have popped up throughout the city, including the rather exciting and intriguing Liverpool Waters project. It’s with this continued regeneration that leaders hope to win their recent bid to have the 2022 Commonwealth Games held within the city. What is the Liverpool Waters Project? This regeneration scheme is Liverpool’s biggest yet, with £5.5m being invested into improving the docklands along the River Mersey. Headed up by Peel, original plans were put forward 10 years ago, however approval was only granted 6 years later in 2013. 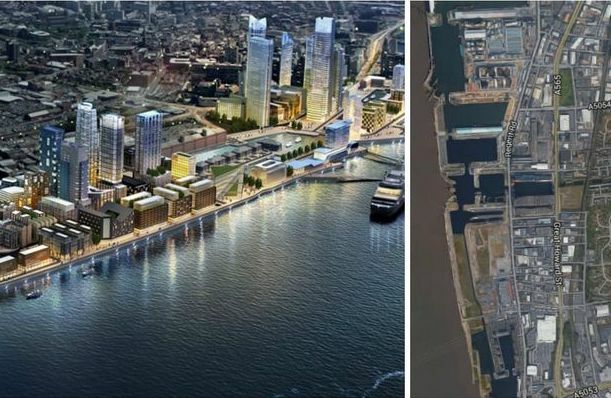 It’s expected to be a slow but steady improvement to the city, but eventually the Liverpool Waters regeneration project is expected to provide plenty more housing, offices, bars and restaurants. Not only can the locals look forward to an increasing number of modern accommodation options to choose from, but the business and commercial opportunities, too. 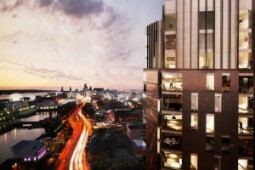 It’s expected that once the project is complete and businesses are able to move into the brand new area, Liverpool could become as appealing in its waterfront business districts as cities such as Toronto, Boston and Hamburg, to name a few. In turn, this modern cultural complex is expected to boost the city’s economy even further, by bringing a lease of new life to the area and increasing the value of property in surrounding areas. How could this help the success of the Commonwealth bid? 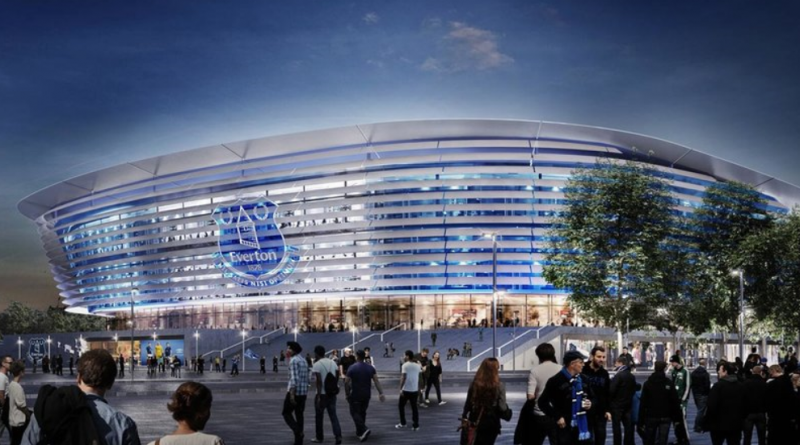 A recent addition to the Liverpool Waters Project is the development of a new stadium to host Everton Football Club. It’s said that the new stadium will not only be a fantastic new home for the Premier League team and its fans, but it will also act as the main athletics venue throughout the 2022 Commonwealth Games, should Liverpool win their bid. Together, the completion of the Liverpool Waters Project and the possible arrival of the Commonwealth Games could in turn, bring about an estimated £1bn for the local economy. £110m of this would be generated before the games, with Liverpool benefitting from the tourism drive during the run up to the Commonwealth Games could bring. Any additional construction required to cater for the games would also also provide a growing number of jobs for the locals. The future of Liverpool would continue to benefit during the aftermath of the games, particularly in the first five years afterwards. It’s suggested that a growing interest in Liverpool as a tourist destination as a result of the Commonwealth Games, could drive a further £750m to the region in this time. Not only that, but the city’s local culture would continue to improve, with a growing interest in sports and travel. Discover more about the developments within the Liverpool Water Project that are bound to have an impact on the transformation of Liverpool in the years to come. 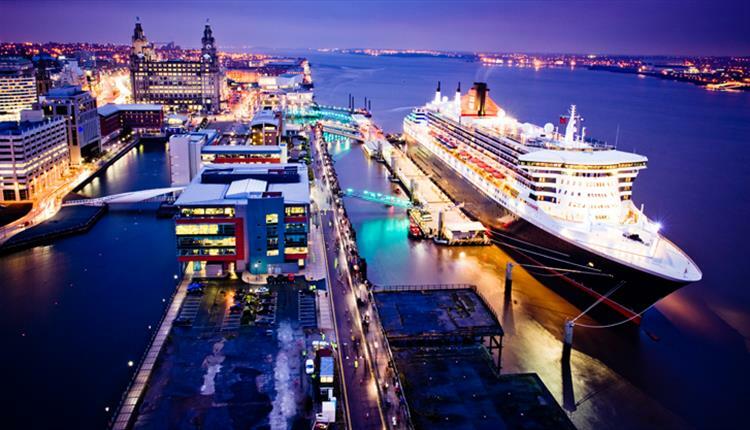 At the heart of the Liverpool Waters Project lies exciting plans to develop two new river terminals, known as the the Cruise Liner terminal and the Isle of Man Ferry terminal. Although the positioning of the original Cruise Liner terminal has since been moved, it’s expected to cater to turnaround cruises with an estimated 3600 passengers. New plans have suggested that the Isle of Man Ferry terminal will lie at the original position of the Cruise Liner terminal and has received £3.5m funding from the Isle of Man government. Access to the two terminals have also been organised, with plans to develop a highway infrastructure leading to other road networks closeby. The two river terminals are expected to boost the already popular cruiser market for Liverpool and improver tourism levels for the city. 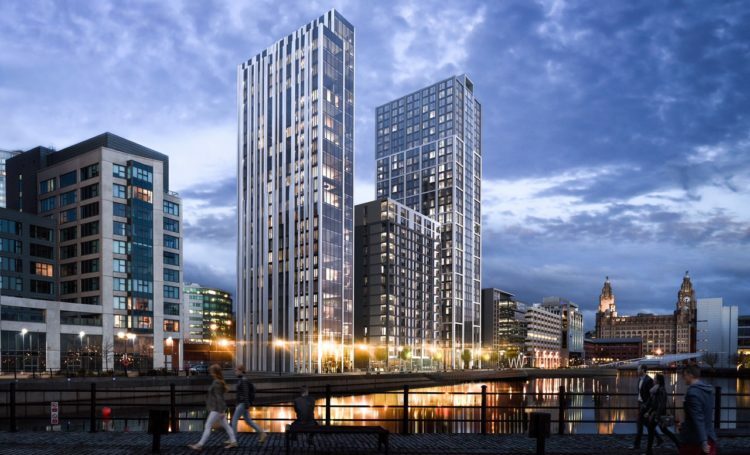 Some areas of Princes Dock are still in discussion as a result of the alterations concerning the Cruise Liner terminal, however the residential part of this development looks promising. It’s been suggested that work on three residential blocks on land by William Jessop Way is expected to be underway in the near future. This is due to both Moda Living and Your Housing Group securing planning permission for plans 34-storey tower and 30-story tower to stand side by side. Peel have brought the companies together to ensure that the building of these two projects are completed together, to ensure the smooth running of each individual construction project. 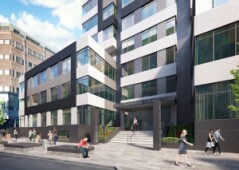 This area is also expecting office space to be developed alongside the residential buildings, as well as a multi-storey car park which will add to the interest in this particular area of the waterfront. As it stands, the area known as Central Docks is being used as an entertainment and events space by a number of companies. Whilst Friends of Allonby Canoe Club are making the most of the water, Big Ed’s Drive-In Cinema is making the most of available land until further developments arrive. Not only that, but music event organisers have been using the available space in this area whilst it remains vacant. 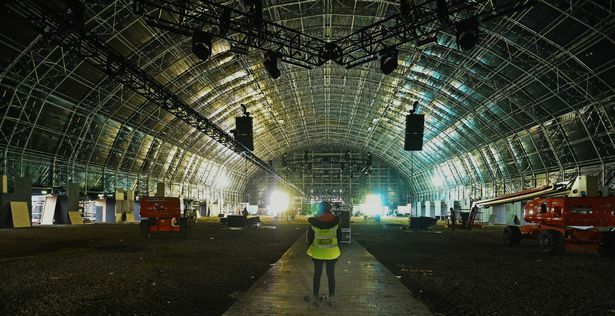 The likes of Creamfields and Liverpool Sound City have driven over 30,000 visitors to the area to enjoy the festivals. By allowing event organisers to make use of the vacant space for the foreseeable, Peel is improving the awareness of the area ready for when the Liverpool Waters Project reaches completion. The developers have interesting plans for the Central Docks area of the Liverpool Waterfront Project. Not only will there eventually be a number of tall buildings developed with both office and residential space provided, but there will also be what’s known as a “cultural building” developed. This added cultural building will work to attract tourists and anyone else who won’t make use of the other buildings, by providing rotating attractions and exhibits for them to enjoy. This idea came from the success of one of Peel’s previous developments, the Lowry and the Imperial War Museum North at Salford Quays, Manchester. As discussed earlier, plans for Bramley-Moore Dock have been moved from a residential area to the development of a brand new stadium for Everton FC. The new stadium is expected to offer a capacity of 50,000 as well as a good standing home-end. It’s expected that the concept of the new stadium will aim to attract local fans as opposed to corporate customers that the current stadium has been criticised for. The atmosphere that the stadium provides has also been considered, with plans to create a home for pure excitement and enjoyment that everyone can enjoy together. The Liverpool Waters Project is expected to drive a wealth of economic growth to the city and perhaps even more so than originally expected, should the Commonwealth Games bid go ahead with the brand new stadium project. What can be said for sure is that Liverpool is no longer a city than can be ignored in preference to Manchester and London. Instead, early investors are bound to reap the benefits of what is expected to be a global contender in the upcoming years.